Connect with prospective vocations, parents, seminarians, and donors through the power of a native mobile app. Catholic prayers, discernment resources, Catholic faith resources, and all of your vocation news and information are packed into one little button. Editing your website has never been easier. Check out the video tour of our back end editor. Our websites are mobile friendly and integrate with your current online resources and tools. Give away items are held and used on a regular basis. You never know when the Holy Spirit might use your vocation pen to help a young person think about the discernment process. 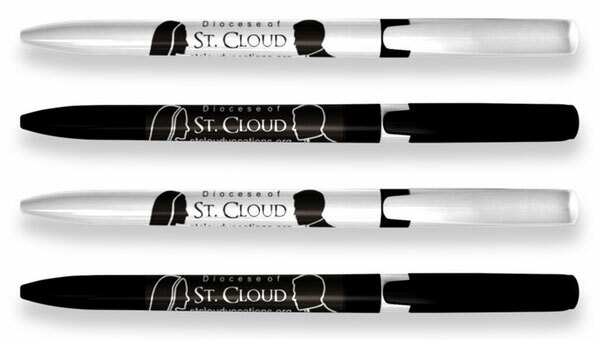 Check out our line of promotional products developed specifically with Vocation programs in mind. Fulfill your Vocational Director duties, boost vocational inquiries, and impress your superior. Our Vocation Tracker™ software makes it easy for you to connect with and track vocation leads, applicants, seminarians, priests, and more. Staying in touch is extremely convenient via phone, tablet, or computer. Vocation Tracker works great for diocesan or religious order vocation programs. Leave a legacy for your vocation office by creating order and passing on a streamlined solution to your successor.